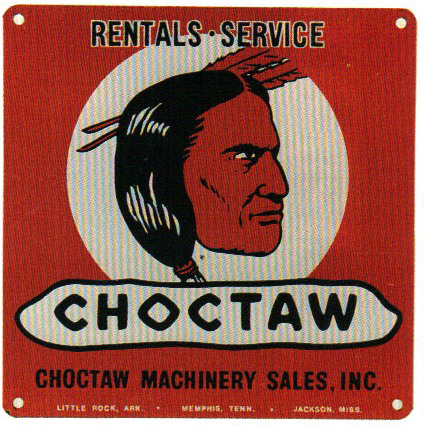 This is a square Choctaw Machinery porcelain sign. This particular Choctaw Machinery sign is red with a Native American man in the center. It reads, “Choctaw, Choctaw Machinery Sales, Inc., Rentals, Service, Little Rock, Ark., Memphis, Tenn., Jackson, Miss.”.